Pump It Up of Glenview does Character Appearances! This includes a 35 minute appearance and photo opportunities with the birthday child and guests. Select characters are available. Please see store for more details. Price includes a glow stick for each child and Birthday Child receives a Glow T-shirt. 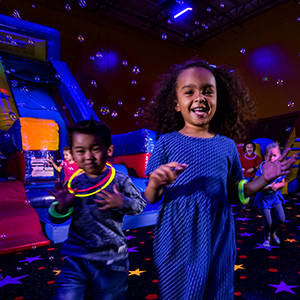 Book your kids birthday party today and add Glow. 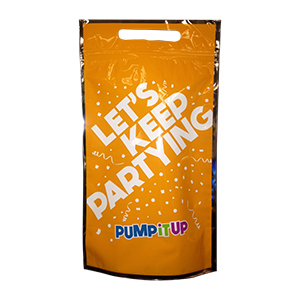 Add a Pinata to your next Pump It Up Glenview Party. Kids will have fun receiving tons of goodies as they fall all to the ground! 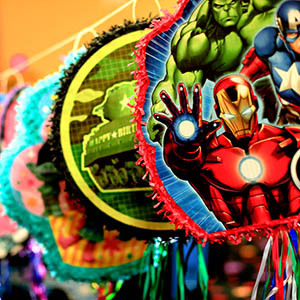 Includes a filled pull string pinata with candy and bags for the kids.The Cost is $30 for Non-Themed Happy Birthday Piñata. $40 for themed Pinata. Themes Available: Princess, Sophia the First, Frozen, White Sox Baseball, Cubs Baseball, Spiderman, Trolls, Toy Story, Peppa the Pig, Avengers, Justice League and Star Wars. Includes: tablecloths, pizza plates, cake plates, and napkins. Lots of themes available! See store for list. Includes Glow sports bottle plus other fun toys & treats. Contents vary. Contact store for details. Great for kids on the go! Comes with tons of goodies. Items inside vary each month. See store for details. 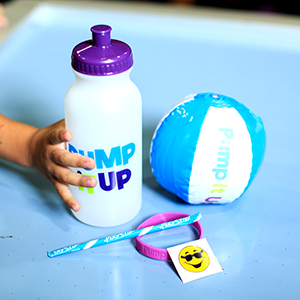 Amazing kids birthday parties are our specialty at Pump It Up of Glenview!